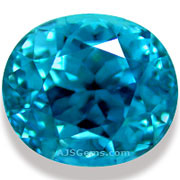 Natural zircon is a great favorite of gem dealers and collectors because of its excellent brilliance, luster and fire. But zircon is not well known at all in the commercial jewelry business, and consumers are apt to confuse it with cubic zirconium, a cheap synthetic diamond simulant. 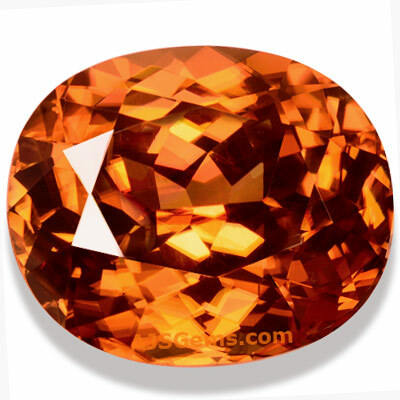 Gemologists and geologists also love natural zircon because it is such a fascinating mineral. One of the intriguing characteristics of zircon is that is exhibits a very large range of values for basic properties such as density, hardness and refractive index. If you consult a gemological reference, you'll find they list zircon as having a density of 3.93 to 4.73, a hardness of 6.5 to 7.5 and a refractive index of 1.810 to 2.024. 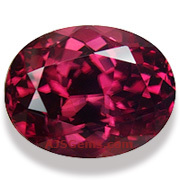 Those are extraordinarly wide ranges for a single gemstone variety. The reason for the large variation in basic gemological properties is that some zircon specimens are transformed by natural radiation. 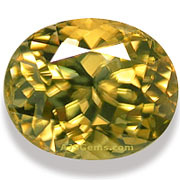 Natural zircon often contains traces of uranium and thorium. Over long periods of geological time, the decay of these radioactive elements can cause changes to the atomic lattice of the mineral. This process is known as metamictization. Zircons which have not suffered any damage from self-radiation are known as high zircons, since they are at the high end of the range for density, hardness and refractive index. These are the zircons which are typically sold as gemstones, including blue, red, honey and white colors. Specimens which have been transformed due to radiation are known as intermediate or low zircons. In the case of low zircons, radiation has affected the atomic lattice such that they are completely amorphous rather than crystalline in structure. 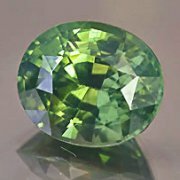 Low zircons are always green or greenish-brown in color and their hardness, density and refractive index at are at the low end of the range for zircon. You will sometimes hear them referred to as metamict zircons. 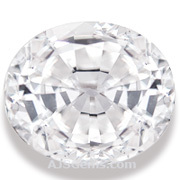 Low zircons are quite rare, and high quality specimens are sought after by collectors. Though these gems are no longer crystalline and don't have the same luster as high zircons, they tend to maintain the impressive fire that is characteristic of zircon.